Telangana Assembly Election Results 2018: TRS romps homes in spectacular fashion. Telangana Election Results 2018: KCR is expected to return for a second term as chief minister. Telangana Assembly Election Results 2018: Pouring cold water on the Congress-led alliance hopes to wrest power in Telangana, the TRS is returning for a second term with K Chandrasekhar Rao as its chief minister. What is worrying for the ‘Praja Kutami’ is the TRS is won over 80 seats, at least one third more than its previous tally, and has cornered a lion share of the votes. The motley group of Opposition parties — Congress, TDP, TJS, CPI — has failed to make any considerable gains in this election despite having a combined vote-share of close to 40 per cent from 2014. Caretaker Chief Minister K Chandrasekhar Rao’s decision to call for early polls has worked in his favour. Though most exit polls pointed towards a TRS victory, the party has struck a decisive blow and has won this one by a landslide. The results are a setback for TDP chief and Andhra Pradesh Chief Minister N Chandrababu Naidu, who was testing the waters with his ‘Praja Kutami’ experiment ahead of 2019 general elections. Meanwhile, the BJP is likely to be reduced to just two seats with most of its prominent faces staring at embarrassing defeats. KCR says internal issues have caused the TRS to suffer loses in Khammam. He adds that he not afraid to acknowledge mistakes. Telangana Assembly Speaker was one main TRS candidates who lost in Khammam region. "It is not about alignment of parties...it is not bringing together four parties and patting oneself on the back. It is about uniting the polity of India. Getting elected once is ok but getting relected is reimposing the people's faith," KCR said. "We will play a very crucial role in national politics... The country needs a non-Congress, non-BJP government. Today's results showed that a non-congress, non-bjp state is possible. We have no bosses or agents, we are purely agents of the people of telangana. The country definitely needs a new economic model, a new agriculture model. We are a very rich agriculture country, we are lagging behind. We only think of production, we don't have productivity. We are lagging behind countries like China and Israel. We should be ashamed of ourselves. I will very soon be going to Delhi...," he said. "We all should be proud that elections were conducted in a free and fair manner. There were no stray incidents of booth capturing or rioting...there wasn't a single incident of law and order issue. The police and EC carried out the elections very well, I would like to thank them, " he said. TDP chief and Andhra Pradesh CM N Chandrababu Naidu is addressing the press. "TDP respects the mandate of people of Telangana. Congratulations to Shri K. Chandrasekhar Rao. Also, best wishes to all the newly elected public representatives of 5 states," he said. He targetted the BJP saying the election results in five states will help form a strong alternative at the Centre. "People recognize that BJP has done nothing in last 5 years and moving towards alternative. People are with us in our fight against BJP. These 5 states results will help form a strong alternative to the BJP," Naidu said. Congratulations to the winners of Assembly elections in Madhya Pradesh, Chattisgarh, Rajasthan, Telangana and Mizoram. Congratulating KCR garu for winning the Assembly elections in Telangana. KCR has won the Gajwel Assembly seat by over 50,000 votes. However, his nephew and son have won with higher vote margins in Siricilla and Siddipet. With Telangana sealed by the TRS, all eyes are on the result in Madhya Pradesh where the Congress and incumbent BJP are neck-and-neck. The leads have been swinging wildly between the two parties after every passing round of counting. Madhya Pradesh is the only state where the BJP is pinning its hopes on after Chhattisgarh and Rajasthan have gone Congress' way. Meanwhile, humbled by the TRS at the ballot box, the TDP has called for introspection over the "failure" of the 'Praja Kutami'. "We have to analyse the factors that contributed to the success of TRS and failure of our alliance," said Ravula Chandrasekhar Reddy, senior leader of TDP, led by Andhra Pradesh Chief Minister N Chandrababu Naidu. "We were expecting to get more number of seats. The results are not to our expectations," Reddy told PTI. ICYMI: Around 20 lakh names were missing from voter lists in Telangana i.e eight per cent of the electorate. The state election commission CEO apologised after several complained over the discrepancies. Ace shuttler Jwala Gutta was among those whose names were found to be missing. 97,680/70,207/68,342/ 57,618/ 57,143/ 46,107: These are some of the vote margins by which TRS candidates are winning in Telangana. It just shows the party's dominance in this election as it cornered a lion's share in terms of vote share. Meanwhile, AIMIM candidates Moazam Khan and Akbaruddin Owaisi are winning by a margin of 80,902 and 72,544 votes, respectively. BJP state president Dr K Laxman is a tight race in Musheerabad, though it is only for second place as TRS candidate Muta Gopal is leading by over 10,000 votes. Laxman is currently third, trailing INC candidate Anil Kumar Yadav by over 300 votes. Another prominent BJP face, G Kishan Reddy is traling by over 5,000 votes in Amberpet. 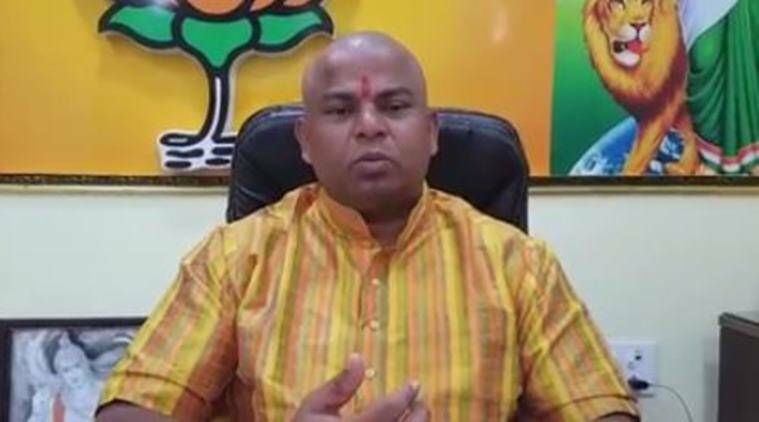 However, BJP's controversial MLA T Raja Singh, who was trailing earlier, is now back in the lead in Goshamahal with a margin of over 5,000 votes. It is interesting to note that the TDP and TRS were once alliance partners in undivided Andhra Pradesh. The two parties had come together to oust Y S Rajasekhar Reddy's Congress in the 2009 assembly elections. However, YSR returned for a second term as chief minister and the TRS walked out of the alliance and joined NDA at Centre. One of the prominent TDP candidates losing this election is Nandamuri Venkata Suhasini, the daughter of late TDP leader and actor Nandamuri Harikrishna, who died in a road accident this year. Several members of the Nandamuri clan, who are accomplished actors, have put their weight behind Suhasini, who contesting her maiden election from Kukatpally. She is losing by more than 20,000 votes to TRS candidate Madhavaram Krishna Rao, who previously won the constituency on a TDP ticket. An upbeat K T Rama Rao has thanked the people of Telangana for giving TRS the opportunity to serve them again. He is currently leading by over 60,000 votes over his nearest rival in Sircilla. His father and TRS chief KChandrasekhar Rao is leading by over 37,000 votes in Gajwel seat over his nearest Congress rival Vanteru Pratap Reddy. 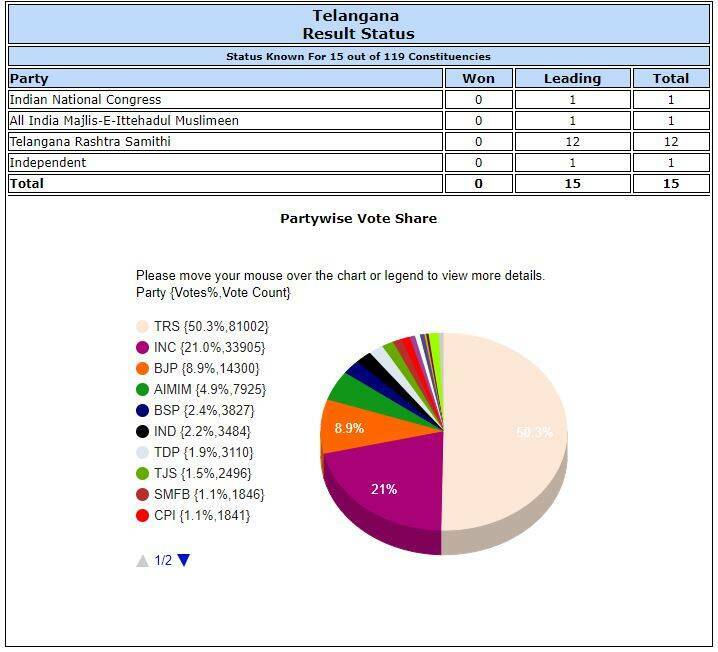 Asifabad, TRS leading ( 242), Dharmapur, Congress leading (34), Ibrahimpatnam, BSP trailing (978), Malakpet, BJP trailing (535), Mancherial, INC leading (624), Nampalli AIMIM leading (356), Pargi, TRS leading (209), Palair, INC leading (746), Suryapet, TRS leading (269), Tandur, INC leading (458), Thungathurthy, INC leading (615), Wyra, TRS leading (104). Speaking to reporters outside Parliament, the Union Minister said: "Nothing is yet clear from the trends. Congratulations to the MLA candidates and the political parties that are winning. But Mahagathbandhan has failed terribly in Telangana." While it is true that the 'Praja Kutami' has failed in denting TRS' prospects, the BJP too has failed to put on a strong show despite the party investing heavily in the state. The TRS has improved its vote share to 48 per cent, an increase of almost 14 per cent from 2014. It appears the TDP is biggest loser in terms of vote share as the party slipped to 2.5 per cent from its previous tally of around 14 per cent. Meanwhile, dealing a blow to BJP president Amit Shah's ambition of making inroads into the South via Telangana, the party is likely to win two seats at best. T Raja Singh, the sitting BJP MLA who promised to rename Hyderabad, is trailing by 2,000 votes in Goshamahal to TRS candidate Prem Singh Rathore. Uttar Pradesh Chief Minister Yogi Adityanath has campaigned for Singh and repeated the party's promise to rename Hyderabad as Bhayanagar if voted to power. Singh stint in the assembly has been marred by his controversial and polarising statements against minorities. Our reporter Liz Matthew weighs in on the TRS landslide win in Telangana: Despite apprehensions about anti-incumbency in several constituencies, the TRS has repeated almost all sitting MLAs. "While the goodwill created by the welfare schemes helped TRS keep its support base intact, the Telangana pride evoked repeatedly by KCR apparently worked against the Congress-led Mahakutami," she notes. Congress Telangana chief says EVMs might have been tampered. While the Congress is winning in northern states, the party's Telangana chief Uttam Kumar Reddy has expressed doubts about the Telangana results and called for VVPAT verification. Reddy told ANI: "I am having doubts on results we're getting in Telangana ballot paper counting. We're doubting that tampering could have been done in EVMs. Slips should be counted in VVPAT. All the Congress leaders will complaint to RO officers. We will also complaint to ECI on this matter. How can TRS leaders say before counting that who will lose in elections." 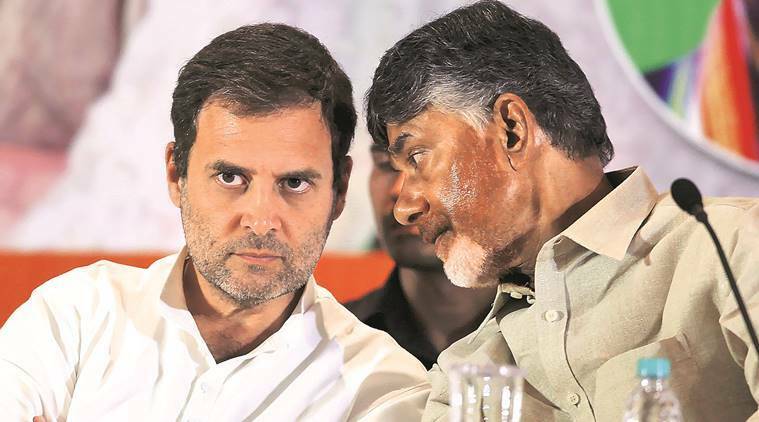 Telangana election results 2018: Was dynasty a poll issue? Was dynastic politcs an issue in this election? PM Modi, while campaigning in the state, said the TRS and Congress were two sides of the same coin and both don't have "internal democracy". While it is true that KCR's daughter, son, and two nephews are either ministers or MPs, today's results show it was a non-issue. KCR's son K T Rama Rao and nephew Harish Rao are leading with handsome margins in their respective seats. 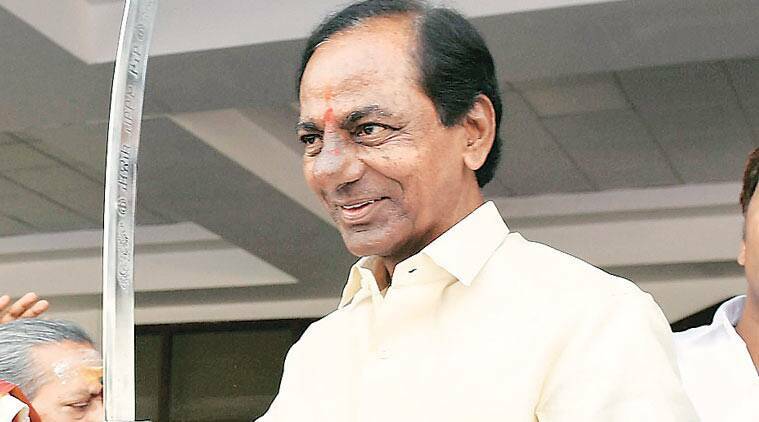 TRS president and Telangana Caretaker Chief Minister K Chandrasekhar Rao is leading by 9,212 votes over his nearest Congress rival Vanteru Pratap Reddy in Gajwel constituency after the fifth round of counting, according to official figures. Meanwhile, Telangana state Congress chief N Uttam Kumar Reddy is leading in Huzurnagar constituency by 1,852 votes over his nearest rival Saidi Reddy of TRS after three rounds of counting. TV visuals show TRS workers bursting fireworks and dancing to drum beats outside the party's headquarters in Bhavani Nagar, Hyderabad. TRS is expected to improve on its previous tally by over 20 seats. Meanwhile, the Opposition alliance is likely to be reduced between the 20-25 seat figure. 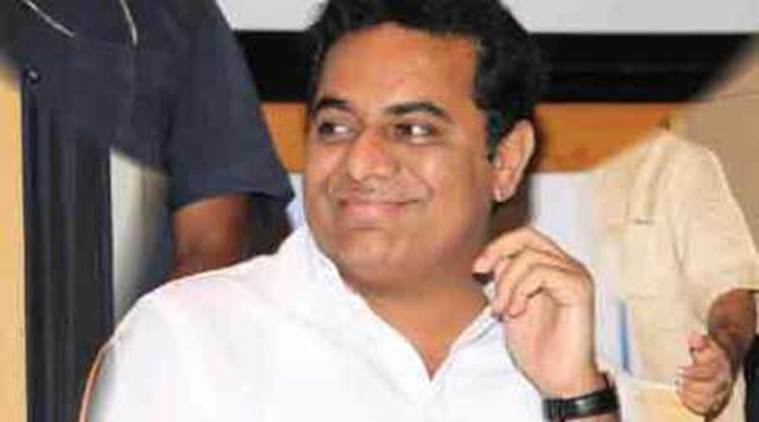 TRS leader and Telangana minister K T Rama Rao is leading in Sircilla assembly segment by 15,096 votes after three rounds of counting. Rao, son of TRS president K Chandrasekhar Rao, secured 20,471 votes, while his Congress rival K K Mahender Reddy got 5,375 votes. The Congress, however, can take solace from election results from beyond Telangana. The grand old party is currently in pole position in Rajasthan, Chhattisgarh and is putting up a tough fight in Madhya Pradesh. A victory in at least three out of the five states that went to polls will be a huge boost in morale for the party ahead of the 2019 general elections. K Kavitha, TRS MP and KCR's daughter, tells NDTV that Telangana election wasn't as a tough fight despite the Opposition parties coming together to fight against TRS. "All of us were emphasising that it was only a battle on paper. It is hands down TRS victory... Only when Chandrababu entered the ring and hijacked this alliance, everyone (media) has been projecting it as a tough fight," she said. When asked what contributed to TRS' victory, was it "Telangana pride or welfare sops?" Kavitha said: "It is KCR's hard work. To excel as a welfare state and Telangana pride, he has to take both of them together, hand in hand. " The leads show TRS gaining a whopping 20 seats from their previous tally in 2014 and the Congress-led alliance losing 13 seats. It appears the arithmetic of the 'Praja Kutami' has gone awry as the leads show that there wasn't much of vote transfer between the Opposition allies. 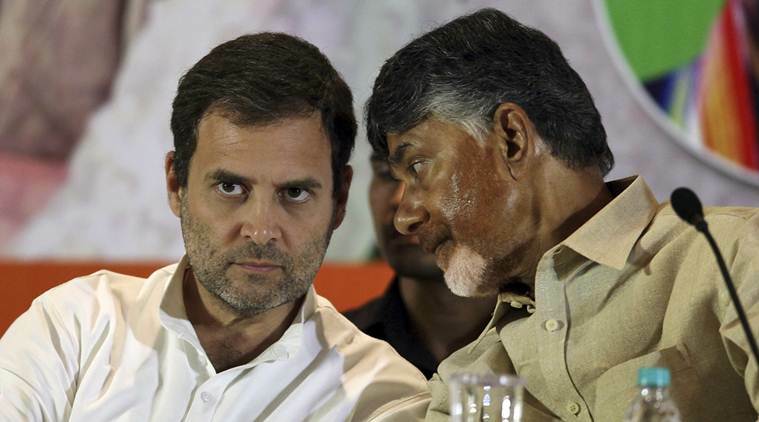 The Congress and TDP were hoping their combined vote share of 39 per cent would help them wrest power from the TRS. This is a decisive blow to TDP chief and Andhra Pradesh Chief Miniter Chandrababu Naidu, who was testing the waters for 2019 with an alliance with former rival Congress. Our reporter Liz Mathew recounts her interview with KCR's daughter and TRS MP Kavitha Kalvakuntla before Telangana went to polls. As the TRS juggernaut rolls on unchallenged in most seats in Telangana, party chief and caretaker Chief Minister K Chandrasekhar Rao is leading by 2,861 votes over his nearest Congress rival Vanteru Pratap Reddy in Gajwel seat after first round. Here is a snapshot of how the parties vote share is split, according to the Election Commission. It must be noted that the trends are just for 15 out of the 119 consituencies. According to trends available for nine constituencies at 9 AM, senior TRS leader and KCR's nephew T Harish Rao, who is also a minister, is leading in Siddipet by 13.040 votes over his nearest rival and TJS candidate Bhavani Reddy after the end of three rounds. Harish Rao was so confident of winning that he had concentrated most of his energies on Gajwel, KCR's constituency, during campaigning. Meanwhile, in Zaheerabad, TRS nominee Manik Rai is leading by 738 votes after the first round. Senior Congress leaders Abhishek Manu Singhvi presdiction for Telangana: "I have always been pessimistic about Telangana... not easy to beat an incumbent government, but will get handsome gains," he told NDTV. Meanwhile, the Congress can take solace from the fact that it is leading Rajasthan and Chhattisgarh, and is neck-and-neck in Madhya Pradesh. The party is hoping to win at least three out of the five states that went to polls. If the Congress holds on to their early leads and converts them into seats, it will be a shot in the arm for the party ahead of general elections in 2019. Parties such as the TDP and AIMIM are focusing solely on the Greater Hyderabad region, which has 24 assembly seats in total. In the previous assembly election, the TDP had won nine seats, the most amongst all parties, and AIMIM finished a close second with seven seats. The BJP and TRS settled for five and three seats, respectively. However, the TDP was hit by desertions after the 2014 results. Take for example its candidate from Kukatpally, a constituency with settlers from the Andhra region. He had switched to the TRS and is contesting on its ticket this time. The TDP is banking on Nandamuri Suhasini, daughter of TDP leader and actor late N Harikrishna, who died in an accident on August 29. The early trends are in. The TRS is leading in four assembly segments and Congress-TDP in two. Remember, these are only early trends, they are most likely to change as and when the counting rounds progress. The number of rounds varies across constituencies depending on the numbers of voters and votes polled. K Chandrasekhar Rao has come good on most of his 2014 election promises, barring a few like generating enough jobs for the youth. The TRS has showered voters with sops including monthly pension for the elderly, free 2BHK housing and crop subsidy for landowning farmers. However, the lack of jobs in the region and tenant farmers -- around 50 lakh in the state -- upset over the subsidy not being extended to them could work against the TRS. Others who have benefitted from KCR's sops are those from the fishing and tribal communities. The TRS, led by caretaker Chief Minister K Chandrasekhar Rao (KCR), had dissolved the Assembly about eight months ahead of schedule in the hope of taking the opposition parties by surprise and to avoid a direct clash with the Lok Sabha elections. 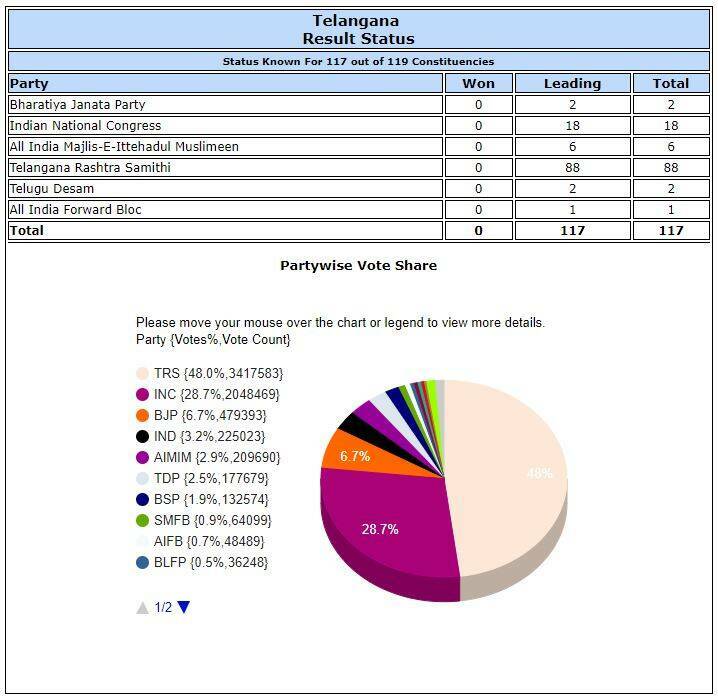 TRS and BJP are contesting all 119 seats. As per the seat-sharing arrangement in Prajakutami, Congress is contesting on 99 seats and TDP, TJS and CPI are contesting 13, eight and three seats, respectively. The Bahujan Left Front is also contesting all 119 seats. AIMIM, which won all seven seats it contested last time, is hoping to capture the eight seats it is contesting this time.